Awesome card, made me smile! This is so cute!!! Love that Penny Black image and your coloring is great, plus that cute button, Perfect! I really like the red and black with that cute ginham ribbon! Love this just too cute. 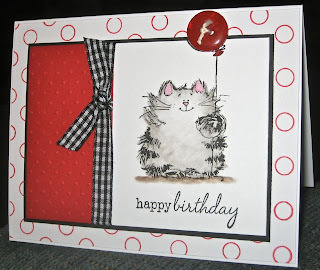 Penny Black and cats--can't go wrong there!